The Wellcome Library houses some 300 manuscripts produced in the Middle Ages – that is, between about 400 and 1500 AD. What these manuscripts have in common is that they all, somehow, relate to medicine and health during this period of about 1000 years. From April to September 2014 I was employed by the Library to improve the electronic catalogue of medieval manuscripts, in conjunction with the digitisation project that is currently underway. 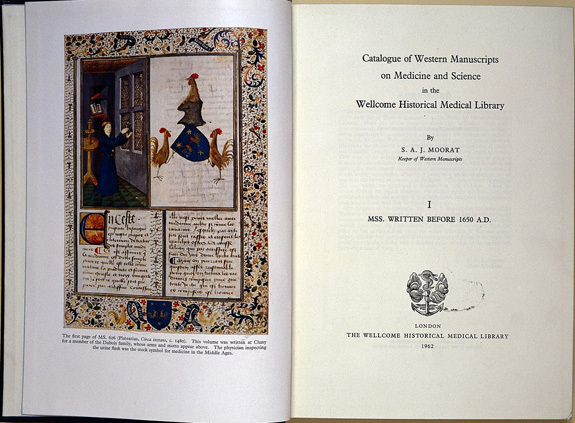 Frontispiece and title-page of S. A. J. Moorat’s catalogue of the Library’s pre-1650 manuscripts, published in 1962. Wellcome Images L0021442. The original catalogue of the Library’s pre-1650 manuscripts was published in 1962 by S. A. J. Moorat, Librarian between 1931 and 1946, who completed the work as a retirement project. 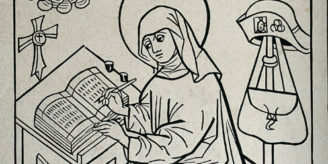 While having a decent grasp of Latin, Moorat was no palaeographer. His classification of manuscripts, and details of their contents, reflected his training as a librarian, with priority given to the work, or author, that Moorat considered to be the most important in any one manuscript. But medieval manuscripts do not necessarily conform to such rules: every constituent part is important, no matter how long or short, how ‘rational’ or ‘irrational’. Moorat’s catalogue was subsequently retroconverted to form the basis of the Library’s electronic catalogue of manuscripts. A further issue was that the retroconversion of Moorat’s descriptions sometimes resulted in spelling and typographical errors not present in the original. My task was to look at each medieval manuscript and its existing description, and update, augment or correct the description. I worked through approximately half of the Library’s medieval manuscripts. I began with MS. 537, the majority of which is taken up by a Middle English version of Gilbertus Anglicus’s ‘Practica medicinae’. As well as having been described by Moorat, this manuscript was the subject of Faye Getz’s ‘Healing and society in medieval England’, published in 1991. Getz’s book placed this Middle English translation of the original Latin in context, and provided an edition of the text and a detailed description of the manuscript. The quandary I was faced with was how much of Getz’s detailed analysis to incorporate in my amended description of the manuscript, as the idea was to make the new catalogue records both useful to specialists and accessible to a wider public. In the end, a compromise was settled on, leaving the way open for those requiring more information to consult Getz’s book. Several manuscripts in the collection are particularly memorable. MS. 230 consists solely of Leonardo di Piero Dati’s astronomical work ‘De sfera mundi’ in Italian ‘ottava rima’ (poetry in eight line stanzas), produced in the mid-15th century. It is the illustrations that stand out in this manuscript – each page is embellished with beautiful cartoon-like depictions of the subject matter, more like Quentin Blake’s illustrations for a Roald Dahl book than anything else. Perhaps the most vivid of all experiences during this time was the moment that, with huge anticipation, I opened the box containing the jewel in the collection’s crown, MS. 49 (the ‘Wellcome Apocalypse’), produced in Germany c. 1420. Too precious to be viewed without close supervision, this extraordinary creation is in four main sections: material on the Antichrist and the End of Days; texts on and related to the ‘Ars moriendi’ (the ‘Art of dying’); medical and prognostic works; and moral and allegorical material. As a whole, the subject matter illustrates the close links between medicine and religion in the later Middle Ages. Of particular interest to me is the medical material in the third section, such as the diagram of the pregnant woman on folio 38r. 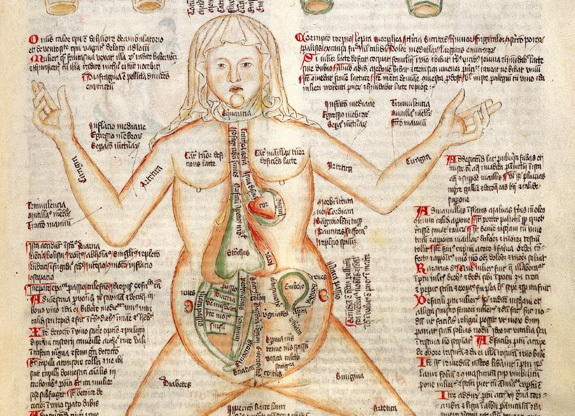 MS. 49, folio 38r: anatomical image of pregnant woman. Wellcome Images L0029310. The current, improved electronic catalogue is by no means the final version, both because half the records have yet to be updated, and because manuscript catalogues are not fixed entities. 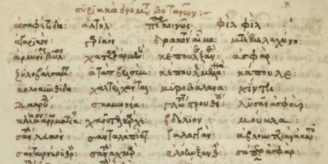 New scholarship is always being undertaken which unearths fresh insights into these medieval treasures, as evidenced by Petros Bouras-Vallianatos’s recently-published descriptive catalogue of the Library’s Greek manuscripts. I encourage anyone working on any aspect of the Library’s medieval collections to share their findings with the Library, so that the catalogue can continue to be enhanced. Author: Dr Joanne Edge is an Assistant Editor on the Casebooks Project (@hpscasebooks) at the University of Cambridge, a digital edition of the medico-astrological manuscripts of Simon Forman and Richard Napier (1596–1634). After studying History at Goldsmiths (BA degree) and UCL (MA degree), she completed a PhD on medieval numerological divination at Royal Holloway, University of London.